Distance from Bs As a. ..
Museum of Spanish Art "Enrique Larreta "
Hours: Monday, Wednesday, Thursday and Friday from 2pm to 8pm, Saturdays and Sundays from 3pm to 8pm..
Museum of Hispanic Art American "Isaac Fernández Blanco"
This mansion was built in colonial style and has an important collection of silver, paintings and antique furniture. Malba houses a permanent collection of Latin American art that begins with the awakening of the vanguards of the twentieth century and reaches contemporary manifestations. 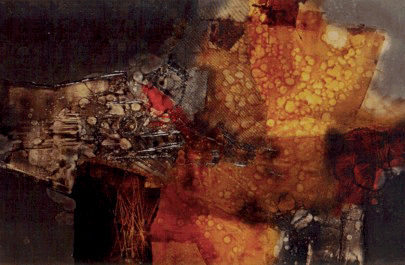 It includes paintings, drawings, sculptures and objects by artists from Argentina, Brazil, Colombia, Costa Rica , Cuba, Chile, Ecuador, Mexico, Uruguay and Venezuela. Address: 3415 Figueroa Alcorta (Palermo). Hours: Monday, Thursday and Friday from 12:00 p.m. to 7:30 pm, Saturdays and Sundays from 10am to 8pm. The museum, housed in a recycling tank snuff, has collections of contemporary Argentine plastic artists; concretists, informalistas and neofiguratives, as well as the Ignacio Pirovano collection with works of the most prominent names in the international plastic. Address: 350 San Juan (San Telmo). Hours: Tuesday to Saturday from 10am to 8pm, Sunday 11am to 8pm. This museum displays a varied contemporary Argentinean plastic art and has a theater school .. The building is a house built between 1860 and 1870 whose facade is a replica an eighteenth century house. Museum of Fine Arts "Eduardo Sívori"
Address: Av Infanta Isabel 555, (Palermo).. Hours: Tuesday to Friday from 12pm to 7pm, Saturdays and Sundays from 10am to 7pm. 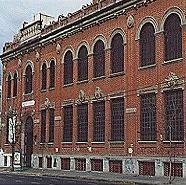 Museum of Popular Art "Jose Hernandez"
Dedicated to Argentine folk and traditional heritage and its relationship with the migratory movements. Address: Av del Libertador 2373 (Palermo). Hours: Wednesday to Sunday from 1pm to 9pm. Museum of Fine arts of La Boca "Benito Quinquela Martin"
Opened in 1936, it is becoming an important center of irradiation cultural and aesthetics.It displays more than 1,000 works, including the largest collection of the artist whose name it bears this museum, especially, amongothers, those made ​​by Fernando Fader, Cesáreo Bernaldo de Quiros, Antonio Alice, Lino E. Spilimbergo, etc. There is also an interesting collection of figureheads of old ships. An elementary school. Address: Av Pedro de Mendoza 1835 (La Boca). Hours: Tuesday to Sunday from 10am to 5:30 pm. Museum of Sculpture "Luis Perlotti"
Home-workshop of the outstanding Argentine sculptor Luis Perlotti, whose work is characterized by his American theme. Hours: Tuesday to Friday from 11am to 7pm, Saturdays and Sundays from 10am to 1pm and 2pm to 8pm. 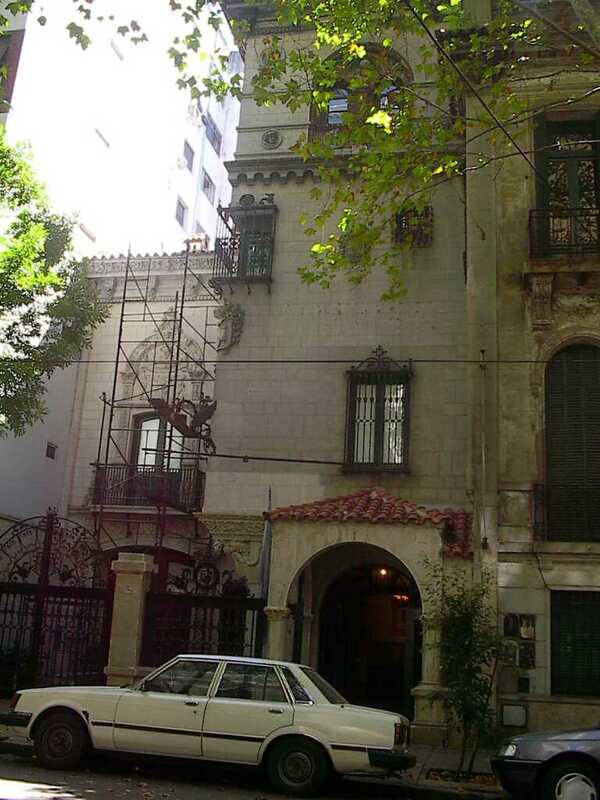 The house was designed and inhabited by the Argentine sculptor Rogelio Yrurtia (1879-1950) .who will be the author of rivers monuments found in our city. "Song to Work" located in Av Paseo Colón and Independencia , the mausoleum of "Bernardino Rivadavia" in the Plaza Miserere and the Monument to Manuel Dorrego at the intersection of Viamonte and Suipacha streets among others. The house retains furniture, paintings by famous contemporary Argentine painters of his time as well as sketches and studies prior to many of the figures that comprise the above monuments. Artworks (still lifes, portraits sketches) who was his second wife, the painter Lia Correa Morales Argentina are also preserved. The museum rescues the memory of the city of Buenos Aires, its architectural heritage and objects from its occurrence and its inhabitants. Collections treasure from a button or a postcard to architectural elements, furniture, tiles and the various elements of the daily life of the locals. Located in a traditional house in the neighborhood of Montserrat a ground floor pharmacy La Estrella, which retains the original decor and furniture is 1900. Hours: Monday to Friday from 11am to 7pm, Sundays from 3pm to 7pm . 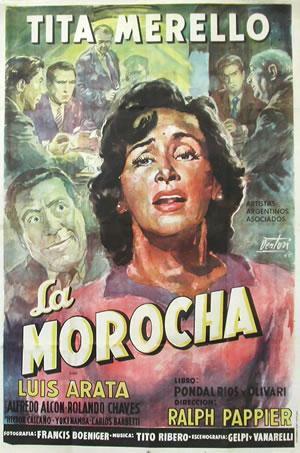 Dedicated to Argentine cinema. His heritage is shaped by the first cameras and projectors with moviolas, costumes, props, models, scenographic sketches, awards and personal belongings of actresses, actors and filmmakers. Hours: Tuesday through Friday 11am to 7pm, Saturday and Sunday from 11:30 am to 6:30 pm. tells the story of his life and death, shows personal objects of his career as an actress and politician. Schedule: Tuesday to Friday from 2pm to 7:30 pm. 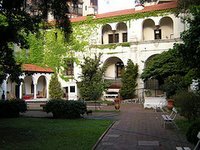 Thought Institute Museum has mainly collections of archeology , ethnography and traditional crafts from Argentina, Latin America, Europe and Africa. Made tours, aimed at different grade levels. 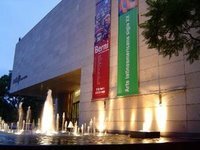 It also conducts road shows, training courses and advice to other museums. Hours: Monday to Friday from 10am to 7pm. Has the largest sample of the country's history: objects, furniture heroes, weapons, costumes, portraits, national symbols, pictorial scenes of great battles and decisive action of the Argentine past. Argentina's history is illustrated here with paintings, weapons and documents that traced the struggle to survive and gain independence from Spain. Hours: Tuesday to Friday and Sunday from 2pm to 6pm. This private neoclassical palace that belonged to Matias Errázuri z and his wife Josefina de Alvear, was built in 1911 by the French architect René Sergent and inspired by the artistic canons of eighteenth century France. In 1937 it was acquired by the National Government and transformed into a museum.Currently it has collections of artifacts, antique furniture, Flemish tapestries, porcelain, ivory, silver, glassware and works of art of the Renaissance, Baroque, Rococo and Neoclassical. Schedule: Tuesday to Sundays from 2pm to 7pm. Is one of the centers most important art exhibition in the country and has the cole ction of paintings most significant of the nineteenth and twentieth centuries Argentine and foreign artists as Prilidiano Pueyrredón, Ernesto de la Cárcova, Van Gogh, Monet, Renoir, Rodin, Picasso, Kandinsky, Miro, Sivori, Castagnino, Cárcova, Quinquela Martin and Soldi among others. 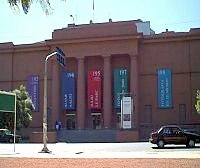 It is consisting of painting, sculpture and upholstery pre-Renaissance, impressionism and postmodernism; as well as a library considered the most important in the country specializing in art subjects. Scattered in the surrounding green areas to the museum there are some interesting sculptures among which are: Hercules, The archer, El Ultimo Centauro and Captive. Hours: Tuesday to Friday from 12:30 pm to 7:30 pm, Saturdays, Sundays and holidays from 9:30 am to 7:30 pm. Is one of the oldest houses of Buenos Aires.Bartolome Mitre rented it in 1860, until he was given by the port town in 1868, at the end of his presidency. When it happened to be owned, he had only the ground floor. Then they rose, on a high floor, bedroom, bathroom and private desktop Mitre, who installed a file in your home, and library with over 40,000 volumes, exclusively devoted to American history and geography. Documents of General San Martin and General Belgrano file highlights and papers relating to the British invasions. House of the eighteenth century original features are preserved in the walls, woodwork, fittings and railings of the facade. Address: San Martin 336 (Nikolai Quarter) Financial District, "The City"
In the museum are exhibited furniture, personal items and portraits of members of the Cabildo and the First Government are displayed;iconographic documents with historical performances on the British invasion and the Cabildo open May 22, 1810. Hours: Tuesday to Friday from 24:30 to 7pm, Sundays from 3pm to 7pm. 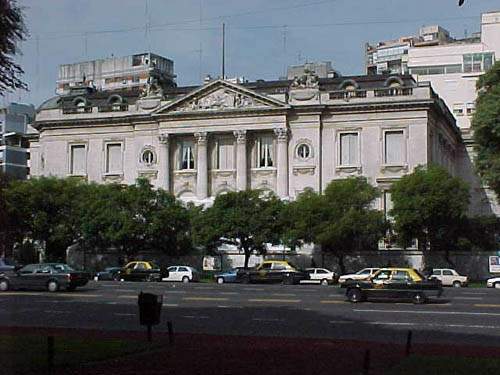 Here worked the former Municipality of Belgrano. 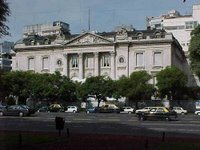 The Municipal House was designed by architect Juan A. Buschiazzo square in front of the General Belgrano and the centennial of the death of the hero, the September 11, 1938, was transformed into Sarmiento Museum. The museum recreates the multifaceted personality of Domingo Faustino Sarmiento, educator, journalist, writer, diplomat and military. The museum displays objects in general belonging to Domingo Faustino Sarmiento, Nicolas Avellaneda and some of the congressmen who attended the Congress of Belgrano in 1880 . The books, furniture, diplomas, letters, china, oil paintings, sculptures, watercolors, sculptures, miniatures and other items of a personal nature that accompanied Sarmiento along his life were donated by his grandchildren. Museum of the Pink House was opened in 1957, in the basement of the Casa Rosada. Inside is a collection of objects that belonged to different presidents of Argentina and includes: bands and presidential canes, letters, medals, military dress, table of oaths, knives and firearms, flags, coins, cigar, drawings and countless objects The museum also has a library, archive and Newspaper library with 17 thousand volumes, specializing in History Argentina related to the presidents. Ricardo Rojas was an eminent essayist, poet, playwright, speaker and politician. Besides his work, he left his home in American colonial style, with his wife, Julieta Quinteros, donated to the state in 1957. The house contains extremely elegant furniture, works of art and valuables. 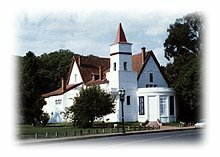 The house became a museum in the April 28, 1958 and was declared National Historical Museum.It has religious paintings, monks chairs, and an office with brass chandeliers.Also contains relics of Gral.San Martin, documents and old books. This museum was founded in 1892 by the Center Naval and exhibits Sail Ships, Steam, modern warships, navigation instruments, documents, weapons, naval uniforms. In its courtyard are some models of aircraft fleet, more than 200 scale models, weapons of all ages and old maps. . 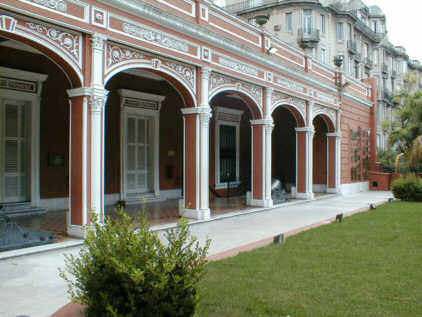 Located 35 minutes by boat from the port, this was the house Sarmiento used during their stay in the Delta. It was declared a National Historical Monument and restored and protected with glass to avoid deterioration. Address: Located on the Sarmiento River, Tigre. 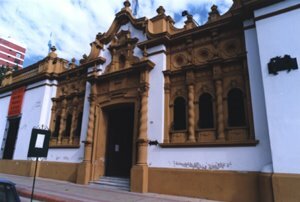 This museum is opposite the historical place where the August 4, 1806 Santiago de Liniers landed to retake the city of Buenos Aires, in the hands of British troops. The museum has a collection of uniforms from the time of the Reconquest of Buenos Aires, documents and weapons. 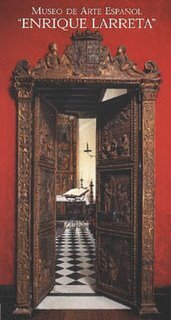 It also has rooms dedicated to the history of Tigre and the parish church. Address: P. Castañeda 470, Tigre. Hours: Wednesday to Sunday from 10am to 6pm. 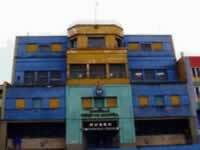 Has six rooms: institutional history; iconography; damage control and fire; uniforms;communications, rescue and diving; navigation and aviation; weapons and explosives. They house the history of the Coast Guard Argentina. We can find equipment firefighting, diving, and rescue and important documents. Address: Av. Liniers 1264, Tigre. Design by Free Wordpress Themes | Bloggerized by Free Blogger Templates | Web Hosting Deals .